This is a private area for members of the Our Wilton Community, currently under development. We will adhere to the forthcoming changes in data protection laws. 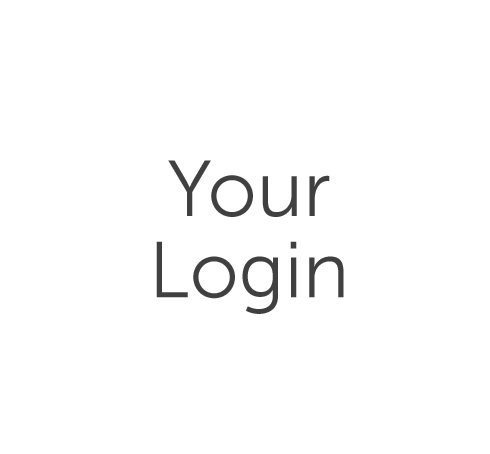 Please be assured that your details will only be held for the express purpose that they were given. On the 26th May 2017 the build of our Veteran’s accommodation got underway. 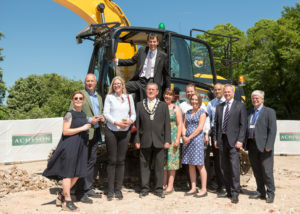 This momentous occasion was marked with a reception for all the parties instrumental in helping to get the project underway with John Glen, MP, climbing aboard a digger to break the first ground on the site. 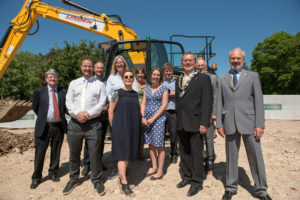 The ground breaking event at Our Wilton, the start of the build for the Veterans Hub, providing support and help for military veterans in the Wiltshire area. Valley News – It was not only a ground-breaking occasion but also an historic day for the ancient capital of Wilton. quosa estem volorit vendi am quos.